Irish Garden House: Squirrel Critter . . .
Squirrel Critter . . .
pondering how to get food out of the feeder. 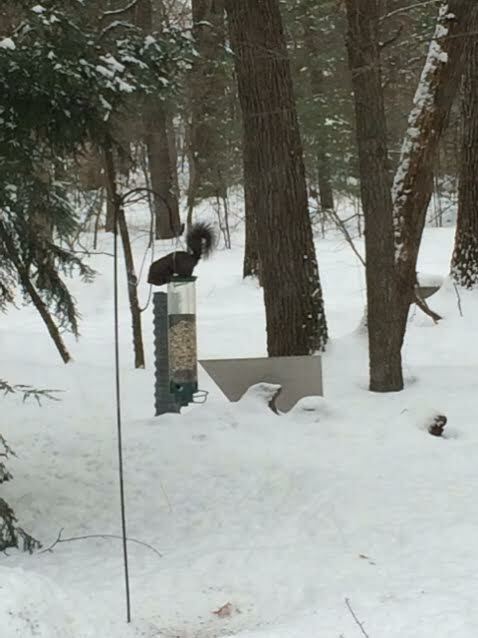 Silly squirrel, all that hard work for nothing... Cute series, Lynne! 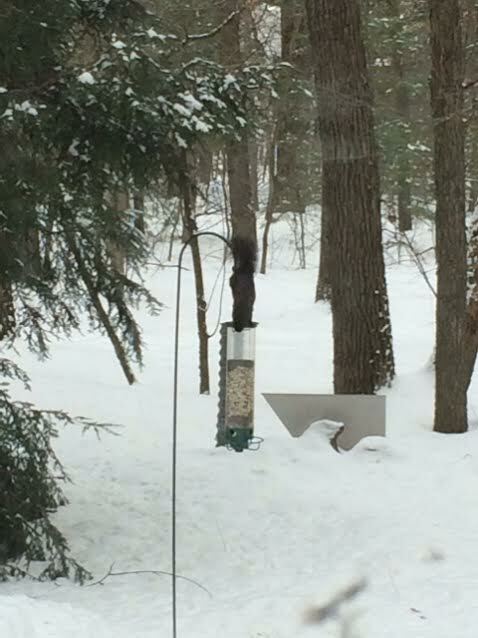 We only have gray squirrels here.. Looks like you have a lot of snow there, it is snowing here again today.. Just a bit on the ground so far.. Thank you so much for linking up and sharing your post.. Have a happy weekend! so darn cute they are!!! I don't know what I'd do without my kitchen window..Glad you have one too..
Don'tcha just love their persistence. 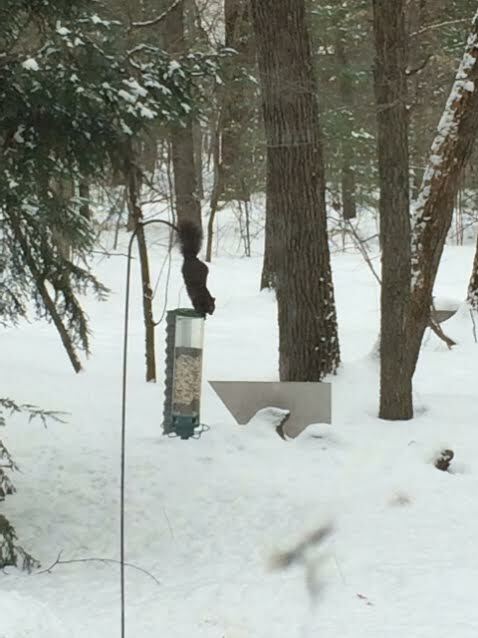 We have mostly red/brown squirrels here, and grey once in awhile. Hope your year is going great!! 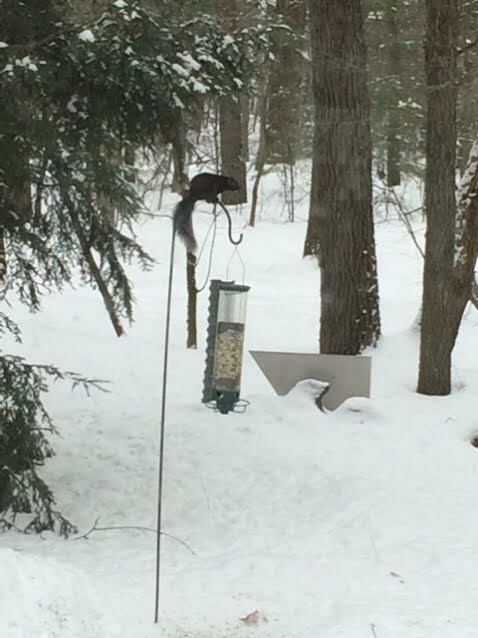 We have fox and grey squirrels but no black ones. All seem to be equally curious and smart. 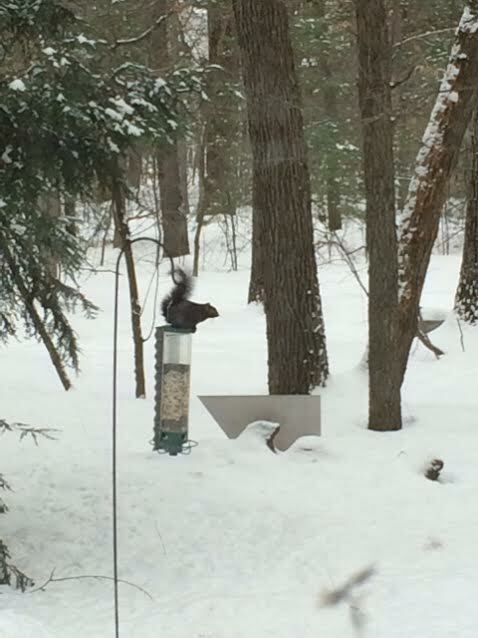 Nice series of squirrel shots, Lynne. They are pretty agile critters. We see them walking across the streets here on the power lines! Sometimes they get zapped and cause a power outage too. Squirrels are entertaining, aren't they? What a cute post! 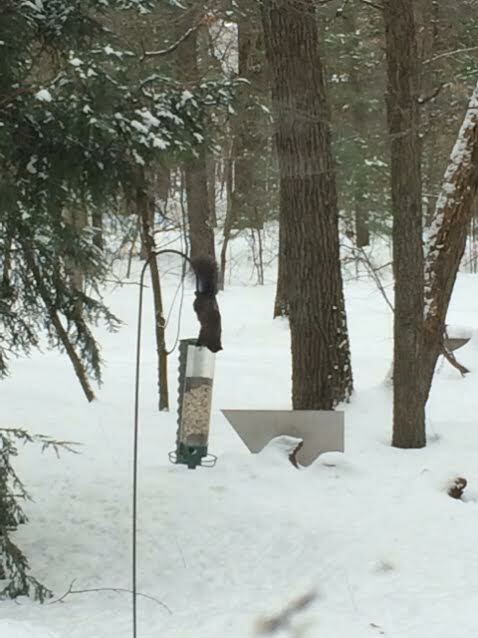 My parents love watching the antics of those squirrels! I bought my dad a swing for his squirrels this past Christmas. They sure make for hours of entertainment! 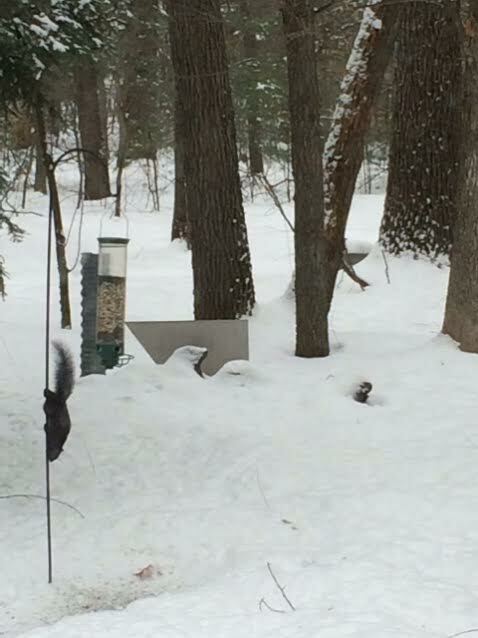 Squirrels are funny creatures. They can also do a lot of damage if they get into an attic. I bought a house once that had squirrels in the attic. What a mess and I had to hire a professional to get them out. argh. These photos sure do tell the story! They are persistent creatures. What great entertainment and just out the window! I feel sorry for him in all that very cold weather and all he wants is something to eat! they sure are determined little critters! they're fun to watch. BLACK ones, eh?? cool! we have grey ones & the bigger Fox squirrels here in FL. did you know that a few days ago was Squirrel Appreciation Day? this would be a perfect post! Such a cute post! 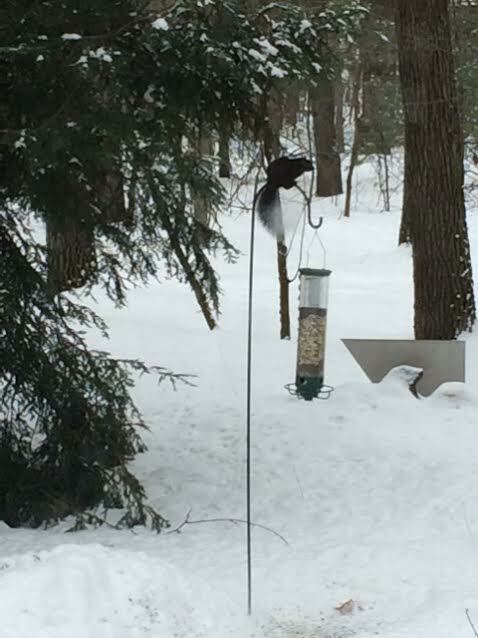 Love the black squirrel with the snowy surroundings. It is amazing how he gets up and down the pole!